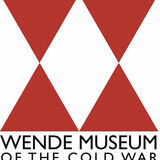 COLD WAR SPACES November 19, 2017 to April 29, 2018 All works belong to The Wende Museumâ&#x20AC;&#x2122;s permanent Acollection, unless noted. BORDER SPACE Where two political systems clash, there is always a fortified border that keeps them apart. In a speech from 1946, Winston Churchill used the term â&#x20AC;&#x153;Iron Curtainâ&#x20AC;? to reference the increasingly impenetrable division between East and West in the emerging Cold War. From the moment it was erected in August 1961, the Berlin Wall would be the most tangible expression of this divide. While the heavily militarized and excessively monitored borders were meant to separate the two ideological camps, they also served as a passageway for people, goods, and ideas, inevitably resulting in ideological clashes and intercultural exchanges. On November 9, 1989, East German border guards opened the gates of the Berlin Wall, transforming this bulwark of division into a symbol of hope. OUTER Due to rapid scientific developments in the early Cold War, outer space for the first time in history became an object of contestation. The space race became one of the most prominent fields of competition between East and West with the successful launch of Sputnik in 1957, cosmonaut Yuri Gagarin’s orbit of the Earth in 1961, and the U.S. moon landing in 1969. While the motivation for the space race was to prove and document the superiority of one system over the other, the unintended consequence of televised travel beyond the atmosphere was a deeper sense of global unity, provided by the unique view of planet Earth seen from outer space. Initially, the Soviet Union took the lead in the so-called space race in 1961 as the first country to send a man – Yuri Gagarin – to orbit the Earth in outer space. However, eight years later the United States landed a manned spacecraft on the Moon. This humorous Soviet poster, printed one year after Neil Armstrong and Buzz Aldrin’s Moon expedition with Apollo 11, expresses confidence that the Soviet Union would catch up quickly. That never happened. Gagarin was the first man to orbit the Earth in outer space, with his Vostok spacecraft on April 12, 1961. This sculpture bust of a young Gagarin was found at a Soviet military compound in East Germany. Launched on October 4, 1957, Sputnik 1 was the first satellite to orbit Earth, and its successful mission truly kicked off the space race. It broadcast radio signals and was tracked by radio operators all over the world before its battery died 21 days after launch. Sputnik 1 was destroyed while reentering Earth’s atmosphere on January 4, 1958. In August 1960, Belka (“Squirrel”) and Strelka (“Little Arrow”) were the first dogs that safely returned from an expedition into outer space. Their predecessor Laika (“Barker”), who was sent into space in 1957, didn’t survive her space travels. PUBLIC While the streets and squares in the Western world are in large part dominated by billboards, advertisements, and commercial signs, the public realm in Eastern Europe and the Soviet Union was largely a political environment where socialist symbols and party slogans were continually reinforced. These spaces were designed for collective experiences like parades and political celebrations, to unite citizens under the banner of state socialism. Public monuments celebrated historical and contemporary socialist figures worthy of admiration and imitation. However, public space was also the arena of uncontrolled and uncontrollable encounters and social interaction, where people exchanged ideas, used the streets to their own ends, and appropriated, sometimes with wit and irony, the political symbols and structures around them. Ernst ThĂ¤lmann was the leader of the Communist Party of Germany (KPD) between 1925 and 1933, when he was arrested by the Gestapo. In August 1944, he was executed in the concentration camp Buchenwald. In the GDR, ThĂ¤lmann was celebrated as the archetypical communist martyr-hero and as a role model for East German youth. Hauswald was one of the free spirits among East German photographers who documented both official events and the unofficial undercurrents of life and culture in the GDR. With these photographs, Hauswald allows a peek into the countercultural side of public life in the GDR. In the 1980s, alternative lifestyles such as punk, although strongly discouraged by the Socialist Unity Party, became an ever more visible part of everyday life. WORK According to Karl Marx, people realize themselves in their labor. Socialist ideology is rooted in the idea that production is the ultimate source of happiness and prosperity, on both individual and societal levels. Without a fulfilling job, people would inevitably suffer from self-alienation and depression, with broader consequences for the community. Therefore, the workplace was an important center where socialist values could be reinforced and rewarded. In posters, paintings, and sculptures, men and women who excelled in their work or significantly exceeded their daily quota were celebrated as “heroes of labor.” Apart from these forms of social recognition, there were hardly any incentives to be productive in the socialist countries. Worker morale tended to be low, in sharp contrast to the omnipresent exuberant depictions of happy and fully engaged workers. Nowhere was the gap between theory and practice more conspicuous than in the everyday reality of the workplace. Typical for socialist realist painting, the group of women approach their new workday in high spirits. Men and women were involved in rebuilding the almost completely destroyed city of Berlin at the end of World War II. Drache’s painting depicts joyful laborers working on the construction of Stalinallee (later renamed Karl-Marx-Allee) in East Berlin, an impressive boulevard conceived as a model for urban reconstruction all over the GDR. However, on June 16, 1953, the construction workers of Stalinallee started an uprising against the socialist regime to demand higher wages and lower work quota. One day later, thousands of people participated in the following mass demonstrations that were forcefully suppressed by Soviet tanks. Subsequently, this painting was stored away, never to be seen again until the fall of the Berlin Wall. PRIVATE In their private homes, people could showcase their adherence to the party and its principles by filling their bookcases with the complete works of Marx and Lenin; decorating their walls with socialist artwork, posters, and youth-brigade insignia; and having their radio and television sets tuned to state programs. But the privacy of the home also offered the opportunity to express independence and individuality, depoliticizing the private sphere. In the comfort of home, people could invite friends over for private conversations, or even organize critical readings, musical performances, film screenings, or art exhibitions â&#x20AC;&#x201C; although the threat of state surveillance was always a concern, even within the privacy of oneâ&#x20AC;&#x2122;s own home. This section references the private realm, with all variations between mainstream and countercultural life styles. With this intimate and loosely painted portrait late in his career, Gulyaev departs from his usual renderings of heroic workers in a socialist realist style. An inscription on the back of the canvas identifies the sitter as a girl from the Soviet republic of Uzbekistan. With her white dress with red ribbon, red head scarf, and a gold earring, this woman is representative of a new artistic interest in Ukrainian folk culture in the 1960s. Atypical of the period of late Stalinism (1945â&#x20AC;&#x201C;53), this intimate portrait does not reference state ideology. In a possible act of subtle defiance, the book cover she is holding is not red but blue. In this study of intimate grief, a mother is holding a letter from the front announcing the death of her son, a typical subject during the years following World War II. The Soviet Union lost almost 11 million soldiers during the war. SECRET While socialist countries aspired to realize a utopian future, the path to that radiant future was filled with secrecy. In the bipolar world order of the Cold War, with its weapons of mass destruction, both camps aimed to provide security for their people and to maintain the balance of power, or shift it to their advantage, at all costs. Top-secret maps outlined enemy targets and altered coastlines along the Baltic Sea to keep military bases and weapons factories out of sight. Even major environmental disasters such as the explosion in the Chernobyl nuclear plant in April 1986 were not acknowledged until their impact could no longer be denied. Internally, citizens were kept under close surveillance, and “enemies of the state” such as freethinkers, critical artists, and political activists could be put in prisons, mental asylums, and gulags, cut off from public life and, ultimately, from existence. Incomplete Landscape by Joyce van den Berg and Nina Kopp explores the seen and unseen histories of sites along the former Soviet coastlines of the Baltic Sea. Through a combination of contemporary photographs, historic maps, and oral histories, they investigate the legacy of secret landscapes and the traumas they carry. 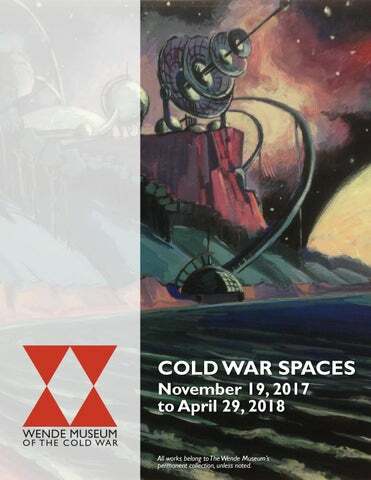 Cold War Spaces was organized by Chief Curator Joes Segal and Curatorial Associate Amanda Roth, with support from Silvia van Bergeijk, Nicole Carroll, Kate Dollenmayer, Jenny McGough, Jessica Hoffmann, Eva Molina, Katie Osterkamp, Max Perrette, Christine Rank, and Katie Strobel. Special thanks to Maurizio Camagna and Michael Kirchoff for their generous donation of artwork, and to the Archive of Modern Conflict, Margret Hoppe, Eve Lichtgarn, and Gerd Ludwig for their kind loans.